In today’s economic climate, practices are looking for additional services that will benefit their patients while also positively affecting their bottom line. Some cardiologists are exploring the idea of offering PET imaging at their facility. While convenient, in-house PET scans may not be the right fit for every practice. The smartest and most informed decision should take into account these four important factors. Consumables for cardiac PET are unlike those used for SPECT imaging. The two commonly available radiopharmaceuticals for the modality include a 13N ammonia based product and 82Rubidium. The exceptionally short half-life of the advanced ammonia-based radioactive tracers used for PET imaging, 15O water and 13N ammonia, is a significant challenge that in almost all cases, requires an on-site cyclotron. Most providers offering PET use a 82Rubidium tracer, which can be produced by an on-site generator. While it delivers similar results and is less costly than the ammonia-based tracer, it’s still a considerable investment, often costing more than $40,000 a month for the rental of the generator. An often cited dynamic of Cardiac PET is that it does not require Medicare preauthorization. While this makes the ordering process more manageable, it’s important to remember that there is a critical distinction between pre-authorization and pre-approval. Pre-authorization is not necessarily a green light for payment approval. All the existing rules still apply and, once evaluated, Medicare has to agree with the clinical validity of the decision. As the procedure becomes more popular, Medicare and payers will continue to increase their scrutiny and regulations surrounding reimbursement. Patient volume is a critical factor when evaluating Cardiac PET. Statistically, 20-30% of SPECT patients receive inconclusive results and clinically qualify for a PET scan for future follow ups. In order to cover the overhead, a set number of scans will need to take place each month. If your volume is in the gray area after factoring in the 20% referral rate, it’s worth carefully looking at the numbers. Given their higher patient population, large organizations, universities, and hospitals are typically a good fit. But again, the total reimbursement must also be considered. If the organization is not a free-standing clinic, the Medicare reimbursement code is written so that only the cost of the study is reimbursed. Expenses related to the 82Rubidium generator are excluded from hospitals, and they are only allowed to bill for the procedure. In this ever-changing regulatory environment, rules and reimbursement rates will be modified over time. In calculating your expectations, whether it’s patient volume, cost, or reimbursement rates, you also assume the risk of change…for better or for worse. Remember, too, that your estimated PET studies per month will ultimately reduce your SPECT study volume. It’s essential that you accurately forecast your SPECT and PET revenue since an increase in one will inversely affect the other. Double counting the number of scans is a mistake some Pro Forma’s make and ultimately leads to unmet expectations after the financial commitment has been made. While financials are a critical consideration, the value of a PET scan in a patient’s diagnosis and the outcome is also significant. While SPECT is a vital part of any cardiology practice, the ability to offer a PET scan could confirm or deny the need for invasive surgery. For the right cases, it saves money, time, and unnecessary risk for patients, surgeons, and insurers across the board. It’s not an easy decision, by any means. 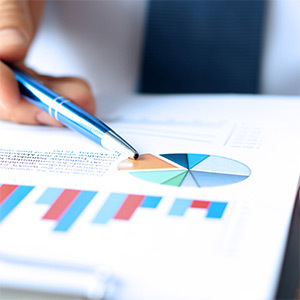 There’s no denying that PET adds clinical value, but the financial aspect is also a practical consideration in any business. If it’s not financially feasible in your practice, and your recommended course of action is a PET scan, referring a patient to the local hospital is still the smart option. It could be a simple solution to a complex problem, and one that ultimately supports the highest level of care for your patients. Is mobile diagnostic imaging right for you? 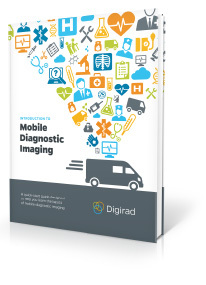 The Introduction to Mobile Diagnostic Imaging is a resource that explains how mobile imaging works and common mistakes to avoid before choosing a provider. Download your free copy today!